We wish you enjoy holidays in May and also we would like to offer more competitive prices for our VIP customers in May. Bigger quantity support even more better. Short lead time and reliable quality. Pls. send us your RFQs for above two series, May is the right time for them. 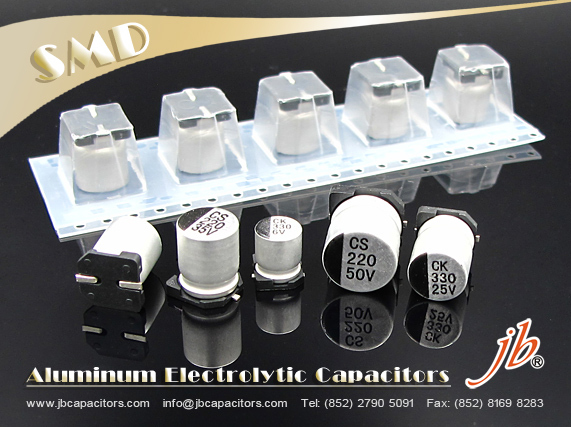 There's big prices improvement for our SMD electrolytic capacitors. please mail to us to get the latest update prices. Below items are very popular items for JCS SMD ECap, 85'C 2,000hrs. we are good replacement of Samwha, Rubycon, Panasonic etc., please come to us. 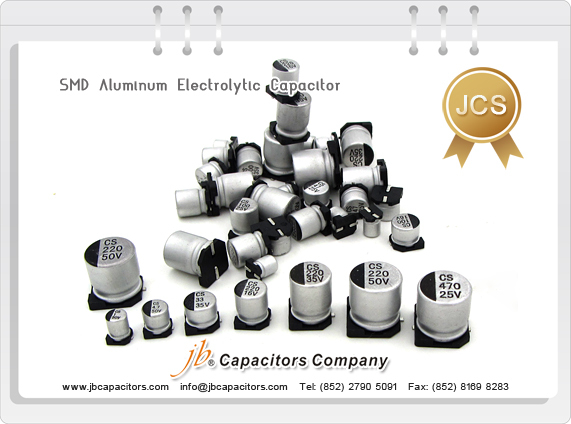 jb has around 30 years professional manufacturing experience in Aluminum Electrolytic Capacitors. 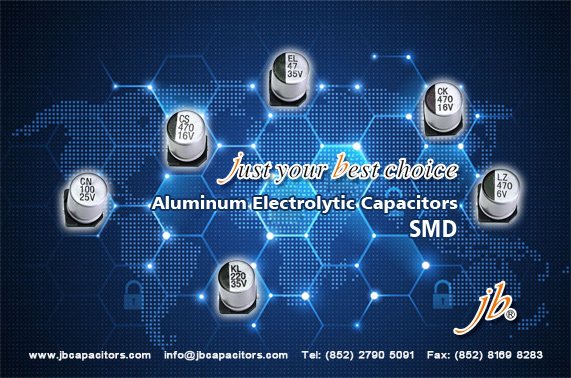 We have an advantage in SMD Aluminum Electrolytic Capacitors. 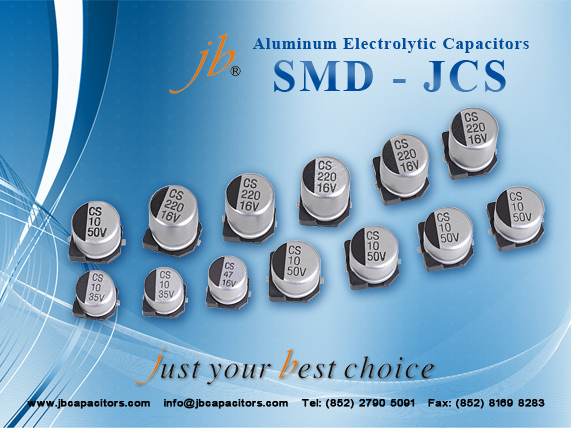 jb SMD Aluminum Electrolytic Capacitors are the almost best price in China, which monthly output can reach 30 million units. In particular, we are strong in most two common series 2000H at 85°C SMD Aluminum Electrolytic Capacitors and 1000H at 105°C SMD Aluminum Electrolytic Capacitors. 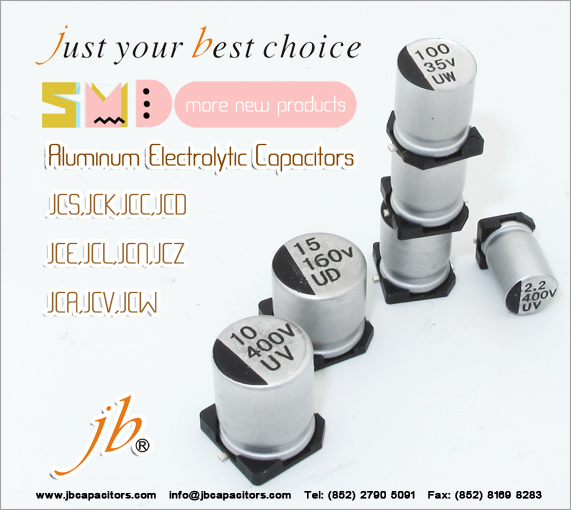 Welcome to check jb SMD Aluminum Electrolytic Capacitors products and send your inquiry to us. We hope can help you make more profit through our cooperation. It was a very successful exhibition! 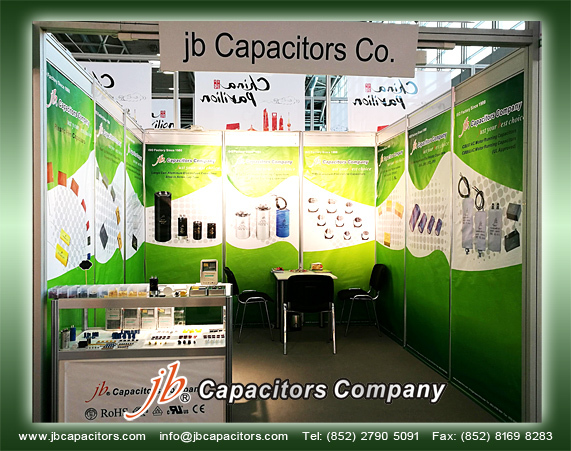 We met many customers at our booth: B6.560/14. Thanks for all the customers' valuable time to visit our booth. We had a very good time & efficient discussion with your cooperation. During fair, we offered customers "Free samples, catalogs, leaflets, sample boxes and nice gift"....they were very satisfied with our professional service. During fair, many customers were looking for below two items, most popular items in current market. Our offer is special before Christmas! if you have any RFQs, welcome to send us for quote, thanks. We're always working hard to give better support for all customers. please do catch this chance. would you like to send us your RFQ/Order list to quote ? Applications: Audio products, Degital Set-top box, TV sets, telecommunications equipments, Routers etc..